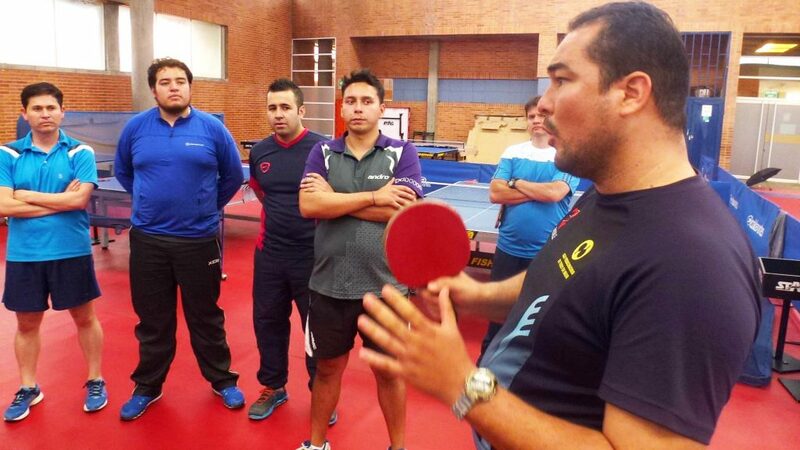 Situated high in the Andes, the Colombian capital city of Bogota was the home for a recent ITTF Level Two Course; proceedings commenced on Tuesday 27th September and concluded on Sunday 2nd October. 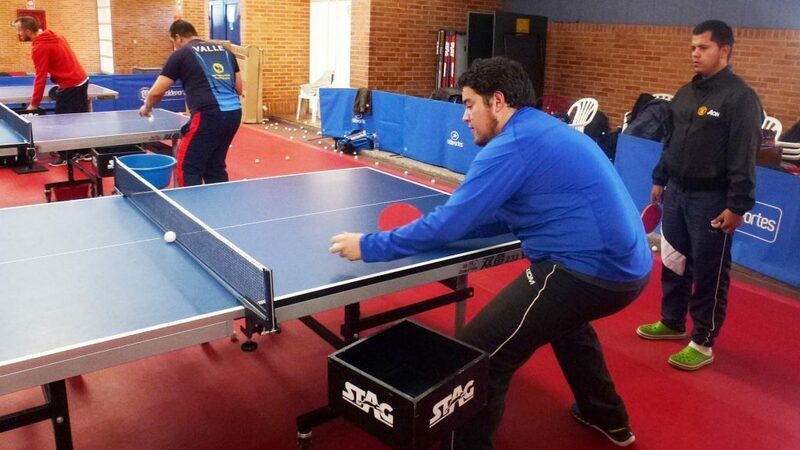 The expert on duty was Ramon Ortega Montes, alias Moncho, the Development Officer for the Latin American Table Tennis Union. A total of 19 coaches attended. In addition to Bogota, course members travelled from Antioquia, Cundinamarca, Risoralda and Valle; most being full time coaches, in villages, cities, Universities or clubs. Home for the whole itinerary was the High Performance Centre; fully equipped with court mat, classroom and all the necessary requirements for practical sessions, the venue proved ideal. A full schedule, the ITTF Level Two Course being somewhat more demanding than the ITTF Level Two agenda; nevertheless, the response from all concerned was extremely positive. The response was echoed by John Jairo Rodriguez. A tired but satisfied student; Orlando Castro was very much in the same mould. “I have studied so much, in the evening each day two hours and in the morning, getting up very early, another three to four hours; I´m very tired but all the knowledge I gained compensates”, he explained. “I realized that many things I did are not with the technique explained; I will work very hard to change and to be able to teach it to the players. I´m really tired but also really happy”. Delighted coaches and there was a delighted Technical Director, Jhon Cruz was more than pleased with the efforts made. Notably with the recent success of Lady Ruano, winning the ITTF-Latin American Cup earlier in the week and more recently Paula Medina being crowned South American champion, the level amongst female players is very promising. Now attention needs to be directed towards their female counterparts. Overall 16 students completed a full attendance; eleven students gained the required pass mark.